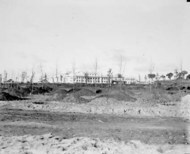 Construction of Australia’s ‘provisional’ Parliament House in Canberra began on 28 August 1923, with a ceremonial turning of the first sod. This landmark event, along with the construction, official opening on 9 May 1927 and day-to-day life of the building, are all part of Mildenhall’s unique record. This set of photographs captures the first 10 years of the building. In Canberra’s early years Parliament House was the social, geographic and political heart of the new Australian capital. Senate Chamber with Duke and Duchess of York officiating at the opening of Parliament House. Duke of York opening the front door of Parliament House, Prime Minister Rt Hon Stanley Bruce on the left, Governor General on right. Distant view of Parliament House from Molonglo River. 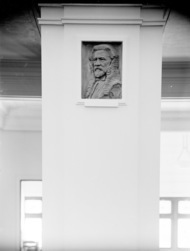 Medallion of Sir Samuel Griffith in Kings Hall, Parliament House. Parliament House rear from the south west. 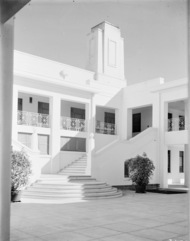 Stairway to courtyard, Parliament House. Convoy of cars at Parliament House. 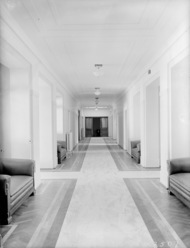 A corridor in Parliament House showing rubber floor covering. House of Representatives chamber showing the public gallery, Parliament House. On roof of Parliament House. Courtyard of Parliament House with East Block in the background. Parliament House, Members reading room. Library. Parliament House, House of Representatives, Government Members Party Room. 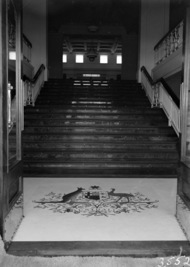 Stairway leading to King's Hall, Parliament House. Group of pressmen visiting Parliament House. Visit by the Ashfield Bowling Club of Sydney. Game of bowls on the Parliament House greens. Presentation of cheque and cigarette case to Bert Hinkler by Prime Minister S.M. Bruce in front of Parliament House with Royal Military College Cadets and spectators. 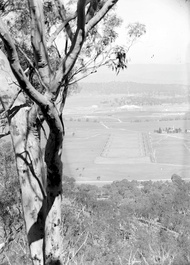 ANZAC Day 1928, Parliament House. Duntroon Royal Military College Cadets on parade. West Block Offices and tennis courts from Parliament House. Parliament House. South-east view, nearing completion, from East Block. Right Honourable. Stanley Bruce and Mrs. Bruce at Parliament House (under construction). 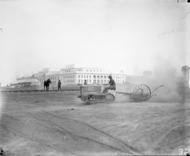 Parliament House under construction from Queen Victoria Terrace. 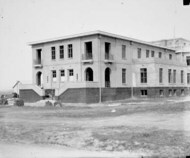 East Block and Parliament House under construction. Close up of almost complete Parliament House, western facade. Porter's desk at Parliament House Library. East Block and courtyard of Parliament House from Parliament House roof. No more photographs for this set.